Strategies for a Successful School Year: Tips for Parent-Teacher Conferences | Navigating ADHD Inc. Parenting is a 24/7 job, and for parents of a child diagnosed with ADHD, your work and focus require much more. Planning and organizing must be part of your daily routine. Being able to measure your child’s progress is key to building future strategies to help him or her to achieve broader goals. The beginning of a new year is a great time to re-assess current routines and look to new approaches. Therefore, planning becomes even more important for parents of children diagnosed with ADHD. For example, there are school activities, summer activities, and one of the most important – planning for the end of the school year. Depending upon your child’s grade, the end of the school year could be marked by graduation from preschool, high school, or preparing for summer school. Being active and engaged with parent-teacher conferences will set the stage for and possibly change the trajectory for your child’s future. Understanding what worked and what didn’t will help you to make the appropriate adjustments to help you and your child going forward. While your child’s school may have dedicated resources and programs for helping children with ADHD, Studies show and experts agree that the number one factor in a child’s success is parental involvement. Therefore, being an active partner with your child’s teacher is key to his or her current and future success. 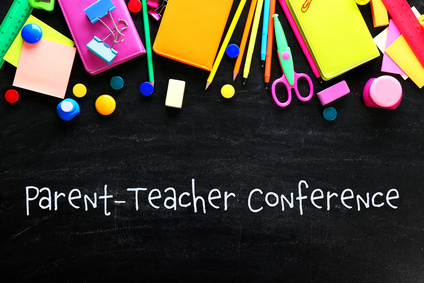 How should you prepare for your child’s final parent-teacher conference of the school year? Below are helpful tips and guidance on how to get the most out of your conference time. Come prepared with specific questions for the meeting. Parent-teacher conferences run on a very tight schedule, and you may not have time for a detailed, in-depth discussion with your child’s teacher. Therefore, prepare a list of questions before the conference. Add a note to your cell phone as a reminder to do so. Be sure to prioritize the list with the most important questions first. You can schedule a phone call, or send an email to follow-up as needed. Listen for any key information that could be shared at your child’s session with his/her coach, pediatrician, and counselor. Such information could lead to an adjustment or change in your child’s medication. Therefore, follow-up with a visit to your child’s doctor to share this information. Once you’ve discussed your child’s progress and challenges with their teacher, don’t wait to set up a doctor’s appointment. Your doctor might be able to help you assess or reassess your child’s ADHD medications, and you might learn about new treatment options which support your child’s learning. Be prepared to listen and learn. While you may have your ideas or thoughts about your child’s learning, remember your child’s teacher is there to provide specific and actionable feedback about your child’s progress and provide their expert opinion. Working with your child daily to do homework is just one aspect of your child’s learning. This is when partnering and sharing feedback is critical to your child’s success, as you both share mutual goals for your child’s success. Agree to any goals for the remainder of the year, and establish benchmarks or milestones for achieving the goals. This is an ideal time for you, your child and teacher to openly discuss thoughts and openly discuss how to overcome any challenges. You can put the plan on paper and develop agreed upon milestones with your child. Ask your child for feedback that he would like you to share with his/her teacher. Children who are shy or withdrawn may have a challenging time communicating with others. Such feedback can be eye-opening and lead to adjustments and new treatment plans. Each of you will have your perspectives, questions, and thoughts, but sharing them in a constructive manner will go far towards developing the optimal plan for your child. Like any parent, you are concerned about your child’s grades and progress. However, remember that you and the teacher are on the same team. The better you support each other, the more positive outcome for your child. Therefore, look at the conference as a time to learn, explore and possibly reassess your child’s current ADHD treatment plan and possibly routines. The Navigating ADHD, Inc. Circles of Support Model includes all who are involved or need to be involved in a child or teen’s treatment plan. The support team might include but is not limited to educators, doctors, counselors, speech and language pathologists, occupational therapists, neuropsychologists, psychiatrists, family members, and coaches. 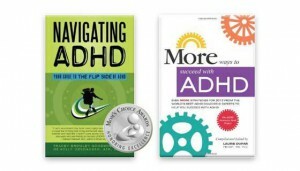 For more information, visit www.navigatingadhd.com.